This week on PopMatters, I discuss Earthbound as Children's Literature. My favorite children's books, for the most part, have some dark or very adult themes. I hated Peter Pan when I was young because I only knew the story depicted in cartoons. Reading it again as an adult, you instead find some depressing stuff about man's fear of death. Some of this you just can't appreciate when young. Even so, I don't think adult themes removes a work's ability to speak to children. Indeed, it heightens it. I use Maurice Sendak's work as an example, but you find it everywhere in literature, from Alice in Wonderland to The Lorax. There is something different, I would argue, between a work meant to be enjoyed by adults and children alike, and a work meant to be enjoyed by children but nevertheless touches upon adult themes. Earthbound is resoundingly the latter. Having never played Earthbound as a kid, I keep going wondering how something like this ever got made. It's not just weird, it's at times unsettling. How did anyone play this game and think "Yes. This will do gangbusters!" I have a hard time imagining how a ten year-old me would have understood the contents of Earthbound. Would I have caught all the subtle cultural references? Probably not, but they would have been there regardless. While playing, I find myself feeling nostalgic for the experience of playing the game as a child, an experience I never had. 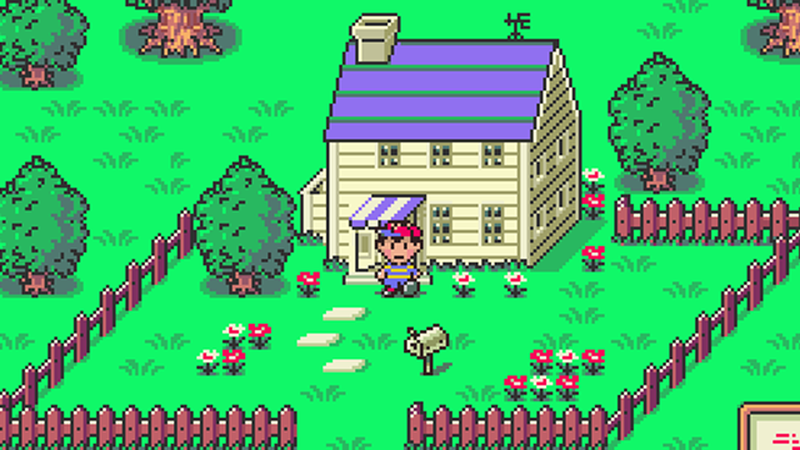 I find the game fascinating today, but I can't help I missed out on visiting Earthbound when I was still a child.